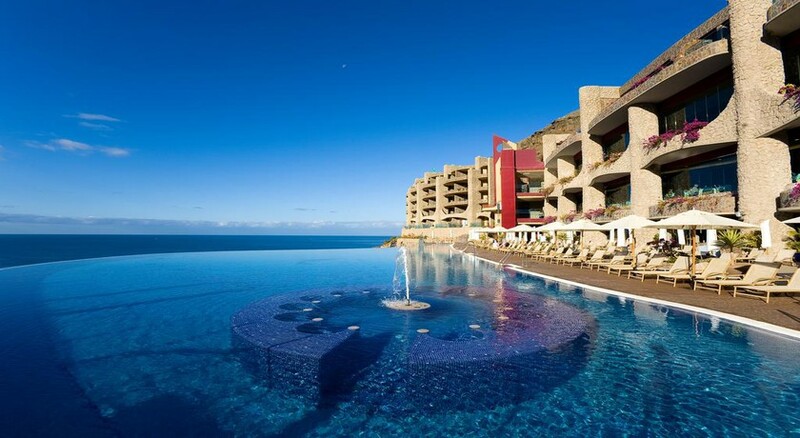 Situated on the Playa de Amadores beachfront, the 4-star Gloria Palace Royal Hotel & Spa is nestled into a cliffside overlooking the resort. The hotel features luxurious rooms and suites and all the comforts and amenities expected for a superior stay. If you're dreaming of beaches, watersports, golf and spa days, then you're in luck. Facilities at Gloria Palace Royal Hotel & Spa include four fabulous swimming pools (two for adults, two for children), a sumptuous spa, free sun loungers and parasols on the sandy beach, a kids’ club and all-day entertainment for the little ones, plus a string in-house sports activities and golf courses minutes from the hotel. Guests will have an uncompromising dining experience in one of the two restaurants, Kaia Restaurant and the Main Restaurant. 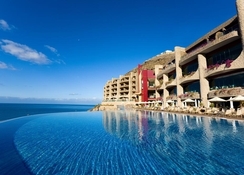 The Gloria Palace Royal Hotel & Spa enjoys a seafront location in Las Palmas, Spain. The Playa de Amadores Beach near the hotel serves up endless splash-tastic watersports activities - ideal for fun family holidays. The Public bus stop is just 100 yards for guests that wish to stop and explore different parts of the resort. Golf lovers will not be disappointed either, as the Salobre Golf resort is only 15.1km from the hotel. The Gran Canaria Airport is about 48.1km away from the hotel. The Gloria Palace Royal Hotel & Spa offers seven types of rooms to match the needs of singles, couples, families and group of friends. They are categorised as Double Room for single use, Double Room, Double Room Sea View, Suite Sea View, Presidential Suite Sea View, Royal Suite Sea View and Double Family Sea View. All rooms are luxuriously furnished and provide ultimate comfort, alongside the following amenities: a terrace, television, telephone, air conditioning, mini bar (extra cost), safe (extra cost), free WiFi, tiled floor, shower, separate shower and bath, hairdryer, magnifying mirror, bathrobe and slippers. Guests can choose to eat at the a-la carte Kaia Restaurant or the buffet-style Main Restaurant, both serving breakfast, lunch and dinner. 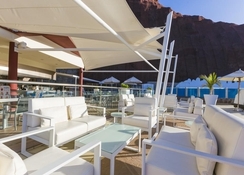 While the Kaia Restaurant sways with superior quality cuisine and flawless service popular for slightly special meals, the Main Restaurant offers delicious, wide-ranging natural dishes guaranteed to suit all guest needs. 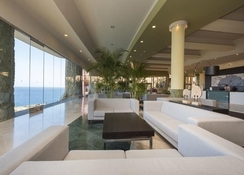 Gloria Palace also boasts four terrace bars and lounges, Mirador Pool Bar, Paraiso Snack Bar, Lounge Bar and Lobby Bar for guests to unwind in day or night. At Gloria Palace Royal Hotel & Spa, there are plenty of sports facilities to keep you and yours engaged throughout the day. Some of the leisure activities include archery, darts, table tennis, water polo, fitness and aqua gym. In the multi-sport court, you will also find football, volleyball, foot volley and badminton. 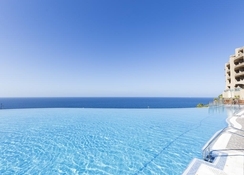 In addition, there are four fabulous outdoor swimming pools (for kids and adults alike) and a large solarium, which covers an area of 1000m. Not to mention kid’s discos, entertainment and games as provided by friendly hotel staff. 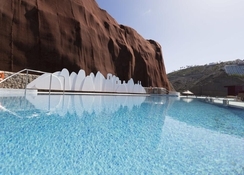 NOTE : The Thalasso Centers at Gloria Palace Royal Hotel & Spa will remain closed for maintenance works during S19: From 06.05.2019 until 12.05.2019. 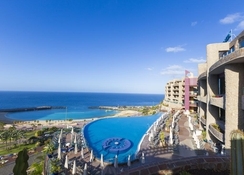 Gloria palace is a perfect location. Amazing views, a short walk to Puerto Rico where you can get a ferry boat to Mogan and lots to do at the hotel! Staff are so friendly, helpful and would do anything for you!! We did the all inclusive and the food was amazing everyday! So much choice and something for everyone! Great for couples old, young and families! Will definitely be back soon! Very clean, modern , excellent service from Staff and all concerned, staying their for a 3rd time in 2019 as so impressed.